Crack and Beat 1 egg and 1/3 cup milk in a microwave safe bowl until blended. You could use egg whites to decrease cholesterol and calories. 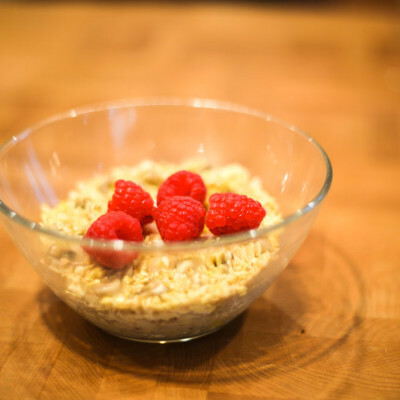 Stir in 1/3 cup oats, ½ chopped banana, 1 tsp. brown sugar, ¼ tsp cinnamon and ¼ tsp. vanilla. Microwave 1 ½ to 2 minutes or until egg is set. Let cook and top with more milk or yogurt if desired.